When he enlisted, aged 17, John Perris was 5ft 2¾in tall with a sallow compexion, hazel eyes and brown hair. John was born in early 1877 at Limpsfield, Surrey, the son of John Perris and his wife Jane (possibly née Cliffen). According to the 1881 census returns John senior was a 'day labourer', a precarious way of earning a living as there would be days when there was no work. The family had recently moved to Newbury (John senior was born in Stockcross) and lived at 4 Lisle Court. This was accomodation at the bottom end of the social scale, demolished in the 1900s as Newbury began to clear its slums. As soon as they were old enough the Perris children would be expected to work, at the age of 14 John junior was working as a labourer. The 1901 census finds the family living at 12 Kings Road, an improvement in living conditions, but neither John is there; Jane appears as a widow. However, her husband's death seems to have gone as unregistered as their marriage so it is difficult to be sure if he died or simply walked out. John junior is also absent from this census; in 1894 he had enlisted with the Berkshire militia (3rd Battalion, Royal Berkshire Regiment). Millitia duties were generally limited to part-time soldiering; an annual camp, weekly drills and occasional training courses. However, the 3rd Battalion sent a contingent to serve in South Africa during the Boer War (1899-1902). John must have volunteered to serve abroad for he went with that contingent and served all over South Africa, including at the Battle of Belmont in 1899, for which he was awarded a clasp to his Queen's South Africa Medal. Jane and her children moved on from King's Road in 1911, first to a cottage in Wharf Road and then to a house in Connaught Road, a new development off Mill Lane. When war was declared on 4 August 1914 John was still a reservist; as such he was called up immediately and reported for duty with the 3rd Battalion, Royal Berkshire Regiment (the Special Reserve). On 12 September he arrived in France as part of a draft to the 1st Battalion, part of the 6th Brigade in the 2nd Divsion of the BEF (British Expeditionary Force). They had been suffered many casualties involved in the first few weeks of fighting and the long retreat from Mons and were in need of reinforcement as the BEF began to advance back towards Belgium. Soon the stalemate of trench warfare was taking shape. The following year the Allied armies the British were planning an attack on the German lines near the coal mining town of Loos-en-Gohelle in northern France, part of a major Anglo-French offensive known as the Battle of Artois. This element of the larger offensive was to earn its own name as the Battle of Loos. It was the first time the British used poison gas (chlorine). The 1st Battalion were in reserve on the day of the opening advance (25 September 1915) but were called into action on 28 September. They were attached to the 7th Division which was tasked with the capture of a section of the German lines in an area known as The Quarries between Hulloch and a mine called Fosse 8. The 1st Battalion's specific rôle being to attack a strongpoint known as the La Bassée Railway Triangle Redoubt (passing through the lines captured by the first wave of the attack). Things went awry from the start and the Battalion's objective was changed to Fosse 8 itself (if everything had gone to plan this would have been catured by the first wave, before the 1st Battalion moved forward). Attacking in bright moonlight at 2.30 am, passing through trenches captured by the first wave, they moved forward, until they were spotted 400 yards short of the German positions. 12.30 am. Battalion collected from fatigues and working parties in order to attack FOSSE No 8 at 2.30am. Capt Radford DSO went to the Brigade HQ at the VII Divisional Dugouts to explain that the battalion were scattered on fatigues and that the position to be attacked and the approaches were strange to the officers. Personal message from General Gough (1st Corps) explained that owing to the situation the attack was imperative. Coys moved in file to the rendezvous A. B. C. D. HQ & MGs. Here the battalion formed up in Company Column and advanced towards the objective 800 yards away. During the advance two lines of captured German trenches and two lines of barbed wire had to be crossed - these were manned by British troops. Owing to the bright moonlight the enemy saw us advancing when we were 400 yards from our objective (FOSSE 8): they put up "very" lights and kept up a continuous rifle fire on us from our right front - this grew heavier as we got nearer. The battalion advanced steadily A, B and part of C Coy going straight for the FOSSE. They were unable owing to the heavy fire from the enemy who by this time were manning the top of the FOSSE to gain the slag heap, being checked about 70 yards from it. D and part of C Coy meanwhile advanced and manned the front British trench. During this time 2nd Lieut A B Turner single handed bombed down a German communication trench driving the enemy before him a distance of over 150 yards. During the whole of this period the Germans were throwing bombs at 2/Lt Turner. While performing this very gallant act he was mortally wounded. By this time it was known that the CO Major Bird was wounded and Capt Radford DSO 2nd in command was killed. In consequence the command devolved on Capt C W Frizzell who was in command of the rear company D: also by this time Colonel Carter the Brigadier was up in the first trench. Seeing that the first two companies were checked Colonel Carter gave Captain Frizzell the order to charge with the remaining men available, this order was carried out - the leading men with Capt Frizzell in front got half way up the slag heap when the Germans from the top threw bombs on our heads. This checked our further advance and the men retired to the front British trench a distance of 150 yards. As it was now getting daylight and the men were all rather exhausted Colonel Carter decided not to attack again. He ordered Capt Frizzell to re-organise in our old trenches. Casualties. Killed. Capt M C Radford DSO. Died of wounds 2Lt A B Turner. Missing. Capt E N Getting, 2Lt P C Rawson 2Lt R A Summers, 2Lt J W B Blazey. Wounded and missing. 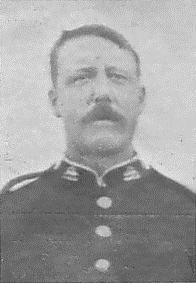 Lieut G F M Hall. Wounded. Major L W Bird, Lt E F Eager, Lt D E Ward, 2Lt Haigh, 2Lt W S Mackey and Capt Adj C St Q Fullbrook Leggatt DSO. The death of Captain Radford cannot be too much deplored. He was a very gallant officer and his loss is very keenly felt by everyone in the regiment and brigade. He was buried at Vermelles. Search parties under Captain Large were untiring in the devoted manner they searched for the wounded. The 1/2 Battn 1st KRR were not able to reach the rendezvous and attack with us. Also the bombing parties from the regiments on our flanks were not there. 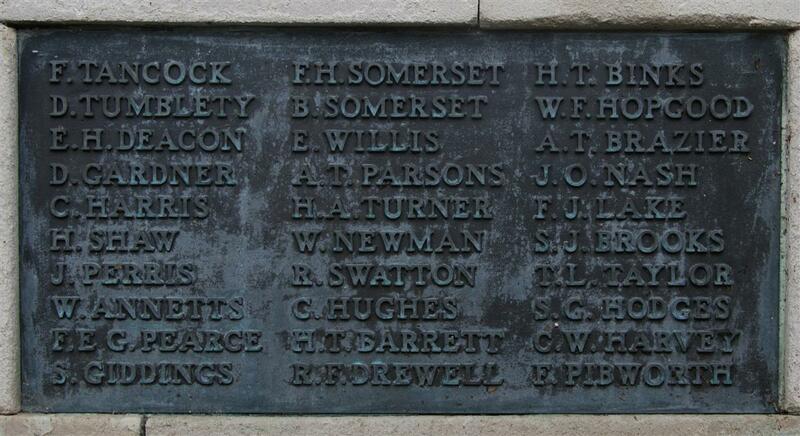 2nd Lieut A B (Alexander Buller) Turner was from Thatcham, his actions that night won the regiment's first VC of the war. Pte John Perris, 1st Royal Berks Regiment, of 12, Connaught-road, Newbury, was severely wounded on the morning of September 28th, from gunshot wounds in the left thigh, and is in the British Red Cross Hospital at St LEonard's-on-Sea. It is the second time he has been sent home wounded. As announced in our last week’s issue, Pte John Perris, of the 1st Royal Berks, and son of Mrs J Perris, 12 Connaught-road, Newbury, succumbed to the wounds he received at La Bassée on September 28th, and died at the West Dene Red Cross Hospital, St Leonard’s on the 24th October. He was an old-time soldier, having joined the 3rd Royal Berks on June 29th, 1900, and took part in the South African Campaign, receiving medals as a reward for his services. He was recalled to the colours on August 4th, 1914, and, rejoining the 1st Royal Berks, was in France before the end of the month. On many occasions has he been in the firing line. And was once wounded in the left ankle, when he was set to Oxford Hospital to recover. The second time he was wounded was at La Bassée on September 28th. Describing his movements to his mother whilst in a dying condition at West Dene Hospital, he said that after getting wounded badly he attempted to crawl to safety.He endeavoured to bandage the wounds, but was too weak through loss of blood. He was cheered by the sight of an ambulance staff man, who assisted the fallen soldier to the dressing station. His condition was well-nigh hopeless, for his body contained a large number of bullets and blood poisoning had set in. Pte Perris passed away on Sunday, October 24th, and was laid to rest in the Hastings Borough Cemetery on the following Wednesday afternoon with full military honours. The coffin, draped with the Union Jack, bore the deceased’s cap and several floral tributes, and was conveyed on a motor transport waggon, provided by the 9th Hampshire Regiment, under the command of Sergeant-Major French. The buglers and the firing party from the same regiment were commanded by Sergt Laurence and Corporal Higgins. The band of the 5th Royal Sussex Regiment was in attendance, under Sergeant-Drummer Pratt. A carriage containing four convalescent comrades and a contingent of VAD nurses of the hospital, with their Commandant, followed. Several people and wounded soldiers witnessed the procession. The Rev A Hume Simpson officiated at the church and at the graveside. Floral tokens of respect were sent by the officer’s mother, Matron and Sister (West Dene Hospital), the patients and staff at West Dene and Mrs C Burningham. As noted in the newspaper John was buried in Hastings Cemetery; his name is remembered on the Newbury Town War Memorial. The Commonwealth War Graves Commission's record of his death includes the information that he was the son of John and Jane Perris of the Tiger, Newbury. First reading this information, probably dating to the early 1920s, might lead to the assumption that John had returned (very possibly from the grave) and was landlord of a Newbury pub called the Tiger. This was not the case, the landlord of the Tiger throughout the period was William Franklin; the explanation for the entry was that the Tiger was more than a pub, it was also a licensed 'common lodging house' with accomodation for 36 lodgers. Sadly it is an indication that Jane's life had taken a downturn, the lodging offered was little more than a bed in a room sleeping six or more. The Tiger closed in the 1928 as the demand for such low standard accomodation died.